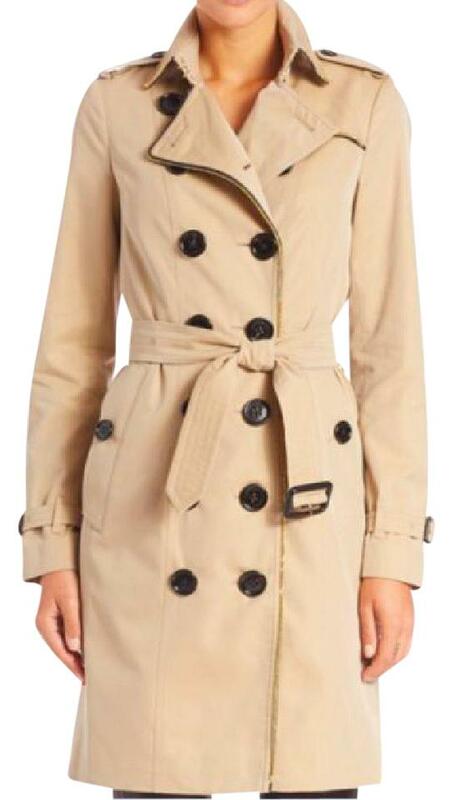 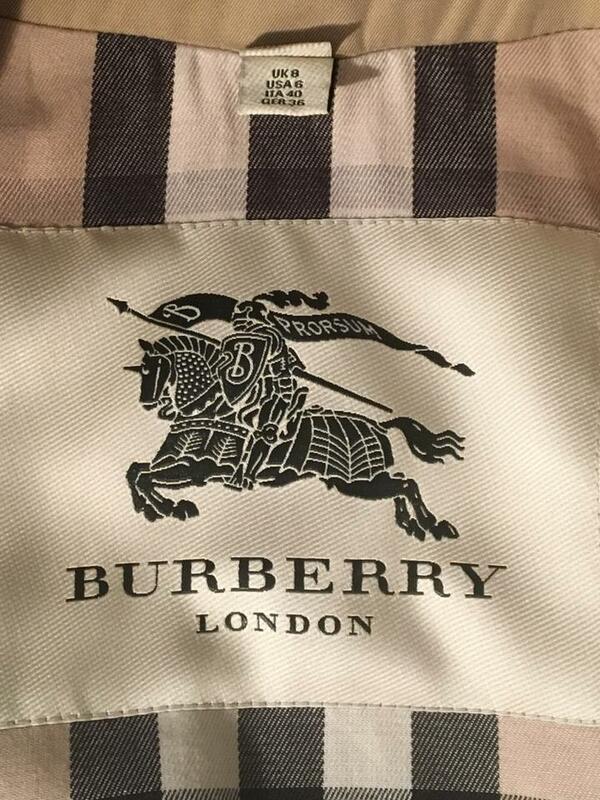 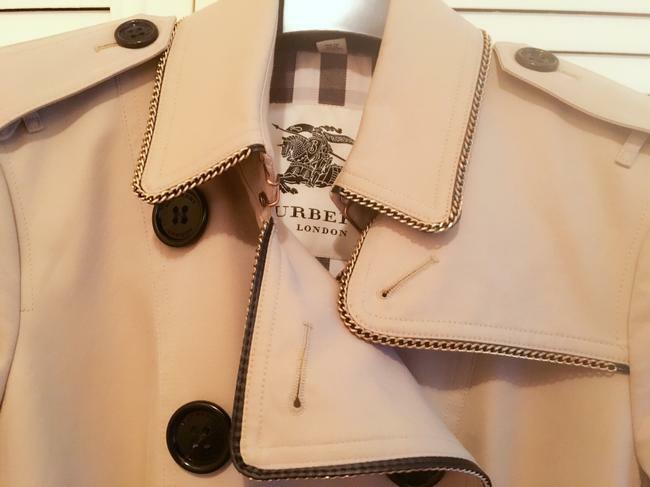 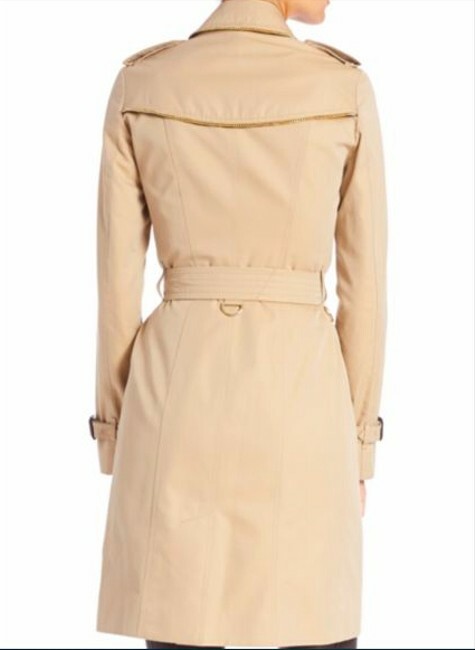 Burberry London slim-fit tench coat with unique chain-link trim. US size 6 in color Honey. 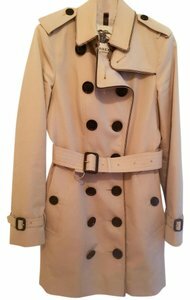 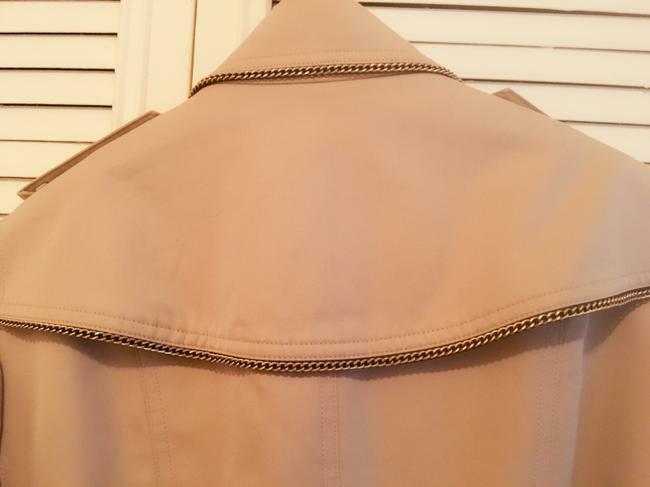 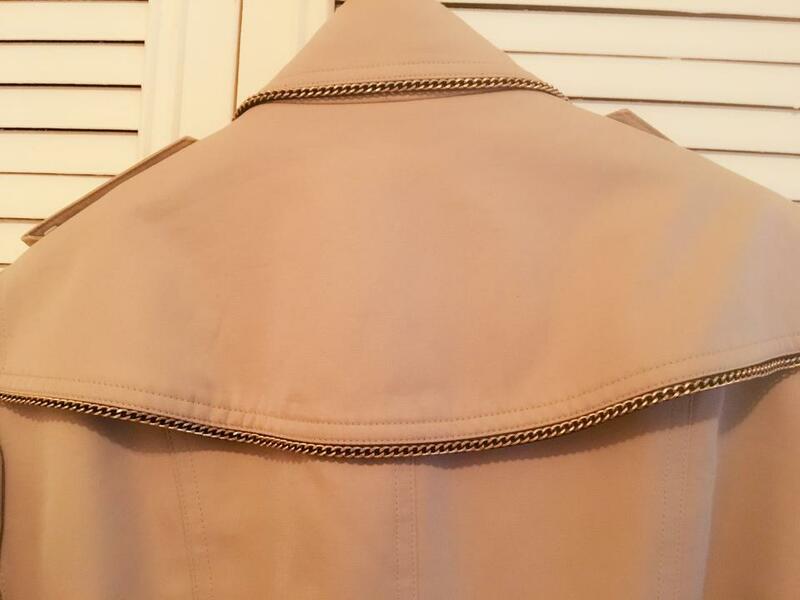 The coat is in excellent condition and the trim details will make you stand out.